2/52 01.13.2014 Quite warm for January weather. It’s a balmy 40 degrees (F). Balmy compared to last week’s Polar Vortex 2 degrees, anyway. People aren’t nearly as bundled up and the sky is a lovely silvery grey. It feels almost springlike, though we all know that’s several weeks off. I would have gone down into the park to take another picture of the glacial rock and the pond, but my Monday got away from me and there just wasn’t time. Perhaps next week! 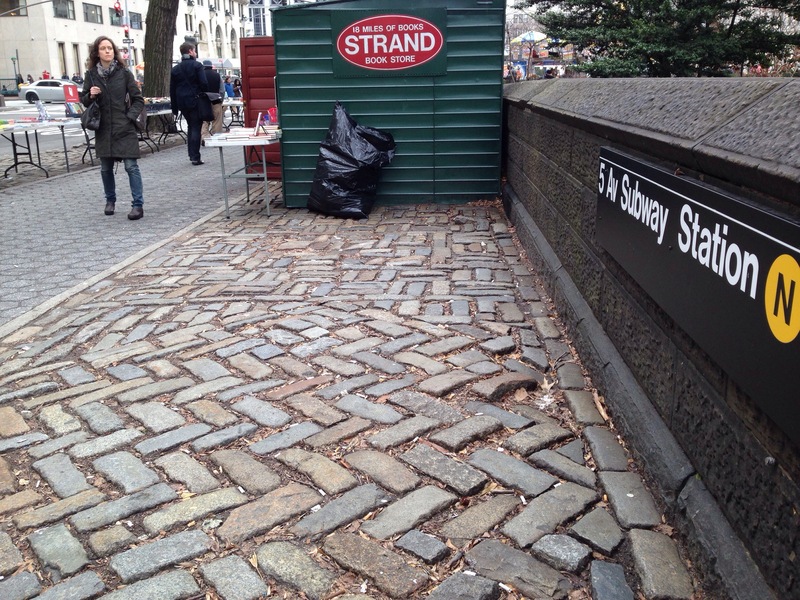 so instead I got this shot of the Strand book seller by the subway. I love the cobblestones here, makes me want to knit in herringbone stitch. Have a great day! 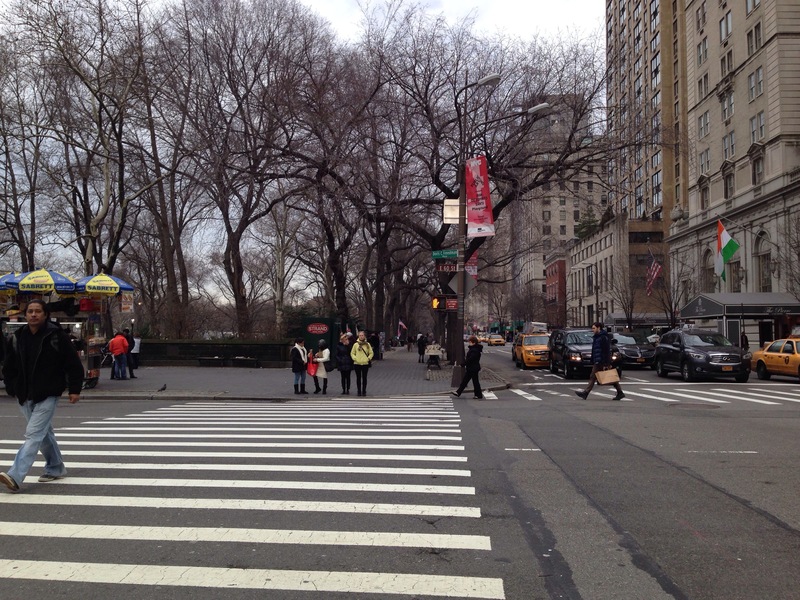 Keep up the Central Park pictures! I know you want to take them every day and that’s a good goal, but life doe go on. I love seeing pictures of “my” New York!